Some stories are worth sharing. This is one of them. It’s about a basketful of kittens that put a smile on the face of a Hospice patient named Carol Heizman. Some stories are worth sharing. This is one of them. It’s about a basketful of kittens that put a smile on the face of a Hospice patient name Carol Heizman. 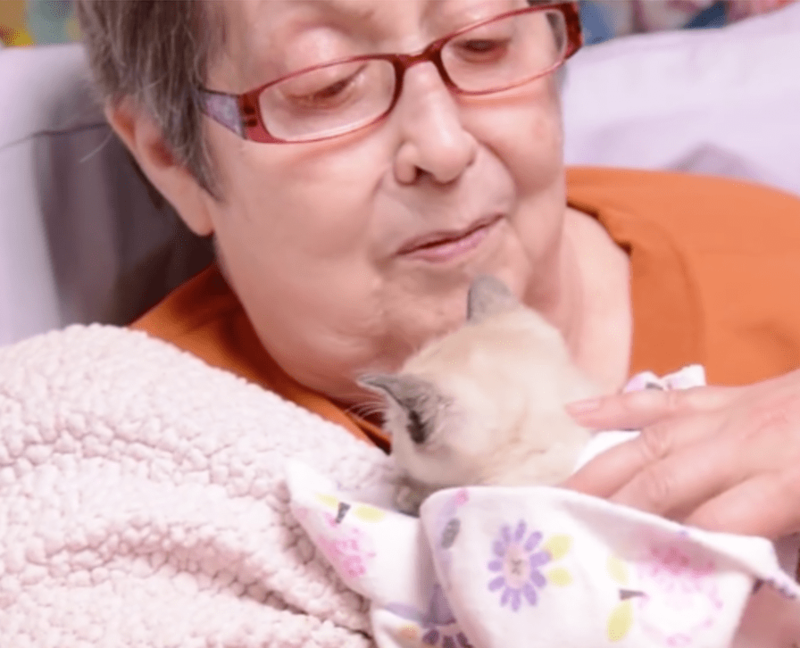 Carol is a longtime cat lover who lives at the Groves Community Hospice in Kansas City, where the staff asked her to finish this sentence: “Happiness is…” According to an article in The Kansas City Star online, Carol had a ready answer: snuggling with a basketful of kittens. 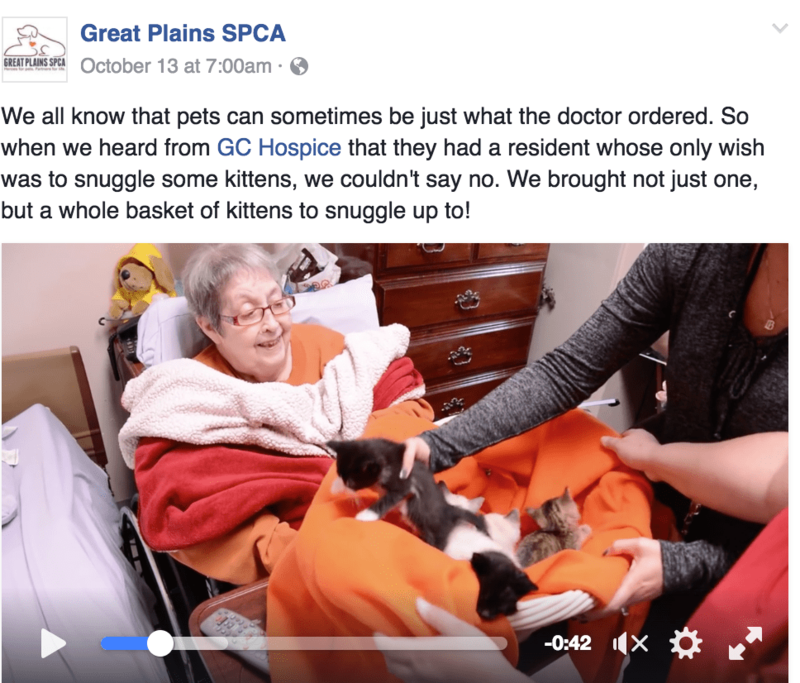 So the thoughtful people at the Great Plains SPCA rounded up five adorable kittens and put them in a basket, then brought them to Groves Community Hospice, where the staff swaddled them in baby blankets, according to the article in The Kansas City Star. 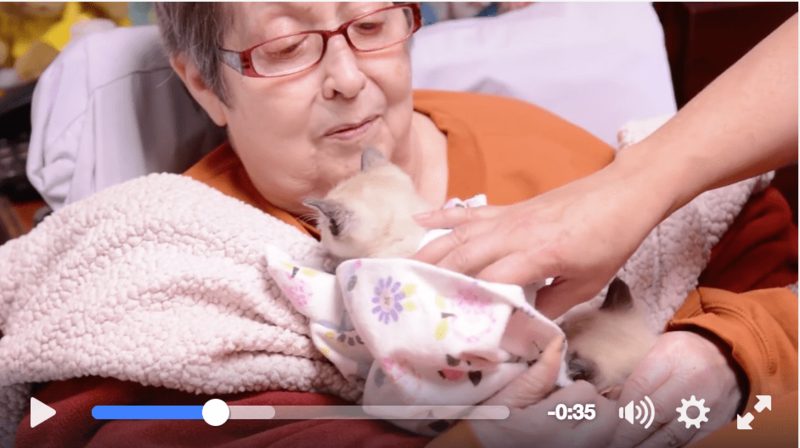 “We brought not just one, but a whole basket of kittens to snuggle up to,” the SPCA wrote on its Facebook page, where they also posted a lovely video of the event. Heizman’s face lights up as soon as she sees the kittens, one of whom managed to clamber up on her shoulder. “We all know that pets can sometimes be just what the doctor ordered,” the SPCA noted about the visit. The hospice has been working to fulfill its residents’ wishes through its “Happiness Is” project, said Rhonda Sullivan, community relations coordinator for Hospice. Well done.